Bill Gates anticipated great things from the so-called "noughties" when he described it as the "Digital Decade" back in 2001. "The innovations of this decade will be more than just a handful of new features," he wrote. "They'll transform the way the PC fits into our lives, and the way we think about computing." Was he right? It's been ten years of rapid technological change; ten years of smaller, faster and cheaper. The PDA died; you could cook an egg on the heat generated by a 3.8GHz Pentium 4 PC; small laptops spawned recession-friendly netbooks; and social networking exploded with MySpace, Facebook and Twitter. At the beginning of the decade, Gates prophecised that we'd all be carrying Tablet PCs, accessing our information on the move, and that our shiny Windows XP-powered computers would be the entertainment and communication hubs of our digital homes. Rewind to the year 2000 and laptops were chunky, sombre grey biz-machines with 14-inch displays, Intel Mobile Pentium III processors and (if you were lucky) a 20GB hard disk. But laptop manufacturers started to experiment. On the one hand, they shoehorned full-fat Pentium 4's into hulking 'desktop replacement' systems with 17-inch LCDs, rewritable CD/DVD combo drives and a battery life of less than an hour. On the other, we saw machines like the TR1MP, a dinky, mist-silvered Sony VAIO no bigger than a hardback book. It blazed a trail for countless netbooks to come. In 2003, Intel's Centrino platform not only introduced the efficient Pentium M processor, but gave the fledgeling Wi-Fi standard a much-needed boost by including 802.11b as standard. As the years rolled by, manufacturers also started sneaking in other features: 802.11g and 802.11n, Bluetooth, TV tuners, built-in webcams, widescreen displays, LED-backlit displays, bigger hard disks, faster GPUs, novelty fingerprint recognition systems and more RAM. More recently, single-core processors have quietly bowed out in favour of new multi-core architectures. Modern laptops are now thinner, lighter, cheaper, faster, longer-lasting and far more colourful than their predecessors. 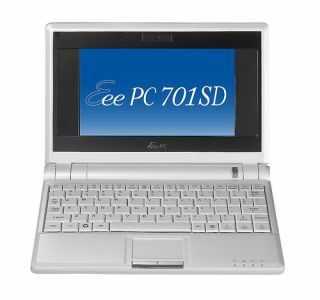 If you ignore the pioneering PDA/laptop mashup that was the Psion 7 (2000), then the Asus Eee (launched in 2007) is widely considered as the first true 'netbook'. Small and lightweight, the Eee stripped the traditional laptop down to its undies, jettisoning expensive technology like the hard disk, large LCD and Windows in favour of flash memory, a 7-inch display and Linux. Less isn't more in this case. It's actually less. Nevertheless, netbooks remain in vogue. MSI, Acer, Dell, Sony and Advent have all jumped onto the bandwagon to ride it into 2010. We love a good format war and the past ten years have been rife with technology showdowns – Mac vs PC; OS X vs XP/Vista/Windows 7; Blu-ray vs HD DVD; Intel vs AMD; Nvidia vs ATI (later AMD); EU vs Microsoft; IE vs Firefox (Firefox forced IE usage below 90 percent for the first time in 2004); Google vs Microsoft; Xbox 360 vs PlayStation 3. While Microsoft is now happily bathing in the glow of good Windows 7 reviews, the decade arguably belongs to a simpler operating system – Windows XP. Launched in 2001, XP replaced Windows 2000 and the forgettable Windows Me. It's a testament to XP's usability, flexibility and Service Pack-fuelled staying power that users stuck with it even when Microsoft rolled out the 'wow starts now' Windows Vista in 2007. The noughties also saw the release of Apple's OS X operating system. The public beta of OS X (codenamed Kodiak) was released in early 2000 and has grown impressively through incremental big cat upgrades – Cheetah, Puma, Jaguar, Panther, Tiger, Leopard and Snow Leopard. OS X continues to be flexible, stable and easy on the eye. The versatility of the code also saw chunks of it used in the software for the iPod touch, iPhone and Apple TV. Based on the Debian Linux distro, Ubuntu has arguably done more to make Linux acceptable to mainstream computer users than any other version of the open source OS. In short, Ubuntu has made Linux look cool.